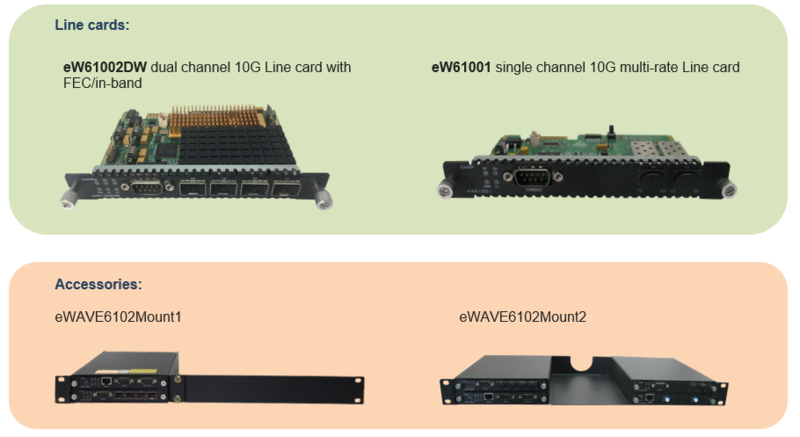 eWAVE6102 is a cost effective, two channels multiservice, smart 10G media-converter which is used for point to point application, or used as remote terminal for star topology application with eWAVE2108H as a HUB. 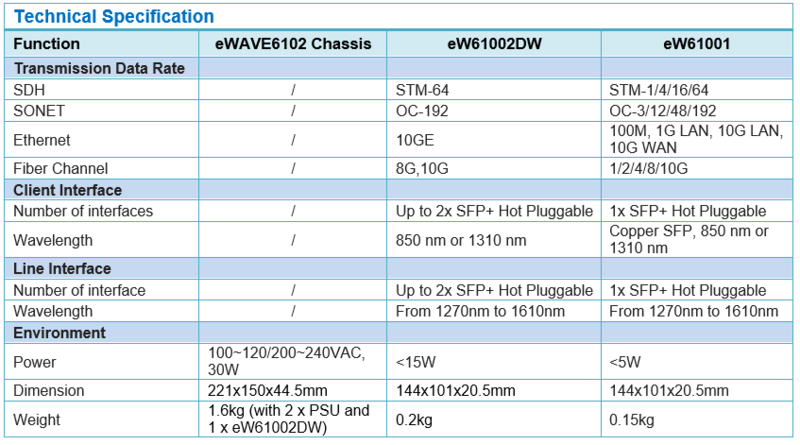 FEC is used in every channel to improve transmission performance with 7~8dB coding gain. It supports in-band management so that the HUB (e.g. eWAVE2108H) or another eWAVE6102 with a management card at center office can access remote unit.